Poet Marcelo Hernandez Castillo is often surprised by how little people know about the realities of being a migrant in the United States — knowledge he takes for granted. “It’s shocking just how small of the iceberg the general population understands” about undocumented immigrants, he said. Castillo’s first poetry collection, “Cenzontle” is both spare and lyrical, communicating the reality and emotions of the immigrant experience in the U.S., and it comes at a time of hardline immigration rhetoric and policy from the White House. 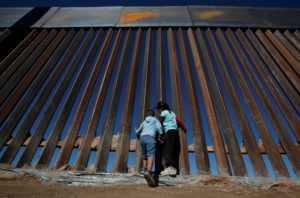 Texas and Arizona are planning to send hundreds of National Guard personnel to the southern border with Mexico, spurred by President Trump’s urging and vocal disapproval of more than 200 Central-American migrants who are traveling through Mexico to seek asylum from gang violence in Guatemala, Honduras and El Salvador. The president champions a tough stance on migrant apprehensions and deportations. “We’re throwing out by the hundreds,” he recently told a West Virginia roundtable on tax reform. Meanwhile in U.S. immigration courts, the Justice Department will begin linking job performance with how quickly judges close immigration cases — efforts meant to speed up the deportation process and reduce case backlog, but which leave some worrying that the quotas will compromise individuals’ rights to a fair trial. Castillo said the inspiration for his work came at a crossroads in his life: his transition from being undocumented to a protected student under Deferred Action for Childhood Arrivals, or DACA. In the collection, Castillo’s imagery and dream-like phrases allow him to speak of his immigration status in a way he hadn’t been able to before. While Trump tweeted earlier this month that “DACA is dead,” statistics from the Justice Department show that more than 50,000 initial and renewal applications for DACA were approved this year. Despite the approvals, the Arizona Supreme Court ruled this week that students with DACA status are no longer eligible for in-state tuition at state colleges. Castillo sees Trump’s push to send the National Guard to the border as part of a campaign to paint immigrants as national enemies. His prose poem “Field Notes Ending in a Deportation,” was written in direct response to these migration policies. I confess to you my inadequacies. I want to tell you things I do not know about myself. I’ve made promises to people whom I will never see again. I’ve cried in an airport bathroom stall in El Paso, TX when immigration denied my father’s application. It felt like a mathematical equation—everything on one side needed to equal everything on the other. It almost made sense to be that sad. I am not compelled to complicate this metaphor. I’m selling this for two dollars. Years ago, on my birthday, I came out to my friends. I thought about the possibility of painting their portraits. What a stupid idea. I’ve started to cover up certain words with Barbie stickers in my journal. It occurs to me, sitting in my car, at a Dollar General parking lot, in search of cheap balloons for a party which I do not care about, that I am allowed my own joy. I pick the brightest balloons, pay, drive home and dress for the party. I mouth the words happy birthday to you in a dark room lit by everyone’s phone cameras. Afterwards, I enter all of my emails from five years into a cloud engine and the most used word is ok. I confess that I have had a good life. I spend many nights obsessing over the placement of my furniture. I give you my boredom. I give you my obligation. I give you the night I danced and danced and danced at a child’s birthday party, drunk and by myself. I’ve been someone else’s shame. It’s true, at its core, amá was deported because she was hit by a car. For years to come, this will be the ending of a sad joke she likes to tell. I laugh each time she tells the joke to strangers. Something about how there is more metal than bone in her arm. Something about a magnet. She says I thought I had died and death meant repeating a name forever. She says el jardin encierra la boca de mis pasos. But this is a bad translation. It’s more like I felt like a star, I felt like somebody famous. 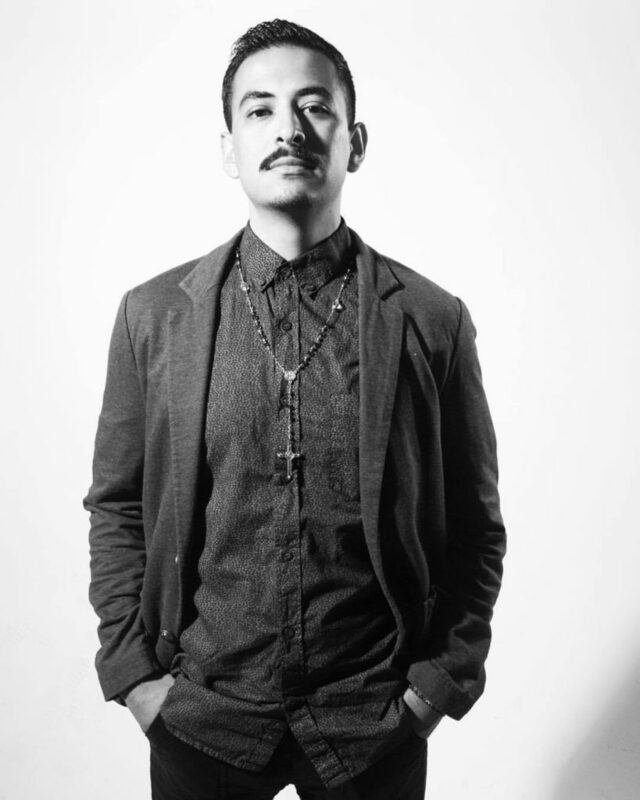 Poet, essayist, translator, and immigration advocate Marcelo Hernandez Castillo was born in Zacatecas, Mexico, and emigrated from Tepechitlan with his family at age 5 to the California Central Valley. He earned a BA at Sacramento State University and is the first undocumented student to earn an MFA at the University of Michigan. He is the author of the chapbook DULCE, winner of the 2017 Drinking Gourd Poetry Prize, chosen by Chris Abani. His debut full-length collection is Cenzontle (BOA Editions, forthcoming 2018), which was chosen by Brenda Shaughnessy as the winner of the 2017 A. Poulin, Jr. prize. With Christopher Soto and Javier Zamora, Castillo founded the Undocupoets Campaign in 2015 to protest publishers’ exclusion of undocumented writers from eligibility for most first-book contests. He lives in Ann Arbor, Michigan.